Debbie serves as a Client Service Assistant providing administrative support as it relates to communications with clients and outside firms and agencies. Specific responsibilities include estate planning support. Debbie began working in financial services in 2007 as an administrative assistant for Ail’s Financial Services. 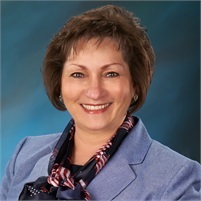 Debbie’s background includes 23 years with Hershey Foods Corporation in various secretarial and executive administrative positions before leaving the company to raise a family. She was also previously employed by Shaffer & Son Builders/Remodelers as an Assistant Office Manager. Debbie is also a Notary Public.